DMPS provides various preschool options to meet family needs. 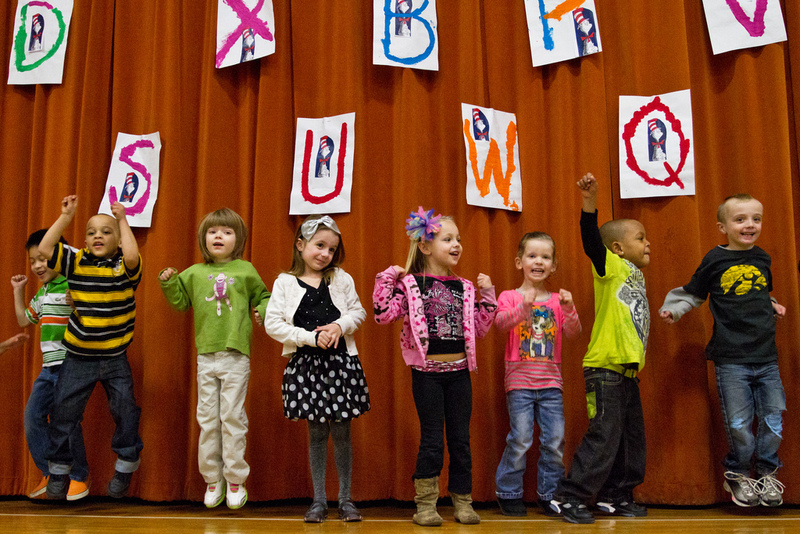 The Universal Preschool program is for children who turn four years old by September 15, 2014. Applications will be accepted starting Monday, March 10, 2014. To complete the online application, please click here. Scholarships are also available for the full-day Universal Preschool classrooms at McKee, Mitchell and Woodlawn. If you have questions about Universal Preschool, or need additional information about registration and scholarships, please call 242-7588. In addition, the Universal Preschool program has classrooms at both the Walnut Street School and Cowles Montessori School. To apply for preschool at either of those locations, please click here. For questions about that process, please contact our Open Enrollment office at 242-7353. Head Start is an income-based program for students who will be 3 or 4 years old by September 15, 2014. Des Moines Public Schools Head Start program is currently taking applications for the 2014-15 school year. Applicants will need to bring proof of birth (child’s birth certificate or T-19 card) and proof of income (taxes from 2013 or current FIP or SSI). Shared Visions is an income-based program for 3 and 4 year old children who live in the attendance area of Capitol View, McKinley, or Moulton schools. Call 242-7588 for information about how to apply. Tenemos una línea en español, por favor llame al 242-7975 para más información acerca de preescolar.